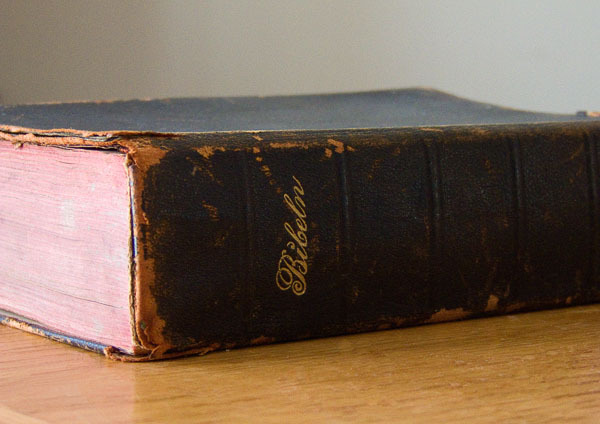 Recently I answered a Freecycle ad for a Swedish Bible. Not that we really need another Bible (we own 8 various ones) or that we could read the Swedish language, but I answered anyway. I wanted to see what one looked like. What I found was a treasure. It was a sunny but chilly day when I picked this up from a friendly gentleman. He handed over into my hands a Book that was weathered and crumbling in my hands. I held it gently as I opened it up to the front page. A handwritten inscription adorned the page. In Swedish, it was dated 1912 and had verse 1 John 2:17.